If you’re wishing to go on an adventure of discover the hidden fortune in West Africa, then look nowhere other than Benin. 7- Continents Travels unique and broad listing of cheap flights to Benin lets you a simple and easy access to Benin. Search and make fares comparison over multiples of world famous airlines such as Air France, Brussels Airlines flights, Afriqiyah Airways, Kenya Airways, Ethiopian Airlines, Delta airlines, KLM, Arik Air, and United Airlines. However, the flights to Benin from UK go indirect with at least one stop destination. Besides the cheap flights, 7- Continents Travels also help you to make hotels reservations and car rentals in Benin on cheaper deals. 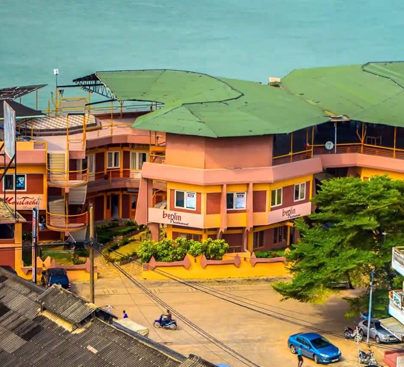 Make your seats confirmed in cheap flights to Benin with 7- Continents Travels and make splendid holidays with Benin attractions such as Ethnographique Museum, Honme Museum in Porto Novo, Cotonou Cathedral and the Central Mosque in Cotonou, popular beach resort of Grand Popo, Royal Palaces of Abomey, Pendjari National Park and much more. If you looking for low price solution for Benin then please call us because we have special deals for Benin from London, which are guaranteed cheapest airfares from UK to Benin.